← Mosel Pinot Noir? Aber Ja (from Stein)! Last weekend I had the honor once again to be a judge at the Hudson Valley Wine and Spirits Competition. The tasting started early on a gorgeous September morning at the Dutchess County Fairgrounds, where the golden sunshine outside was matched by the copious gold medals awarded in the 2013 competition. This year’s contest featured more wineries, more entries and, proportionally, much more Gold and Double Gold winners than in recent years. In fact, over 35% of the 2013 medal winners were either Double Gold (15%, and certainly a record number) or Gold (20.5%), compared with 19% in 2012 — a welcome sign that the quality of wine-making in the Hudson Valley is on the rise. While the number of Gold (and Silver!) 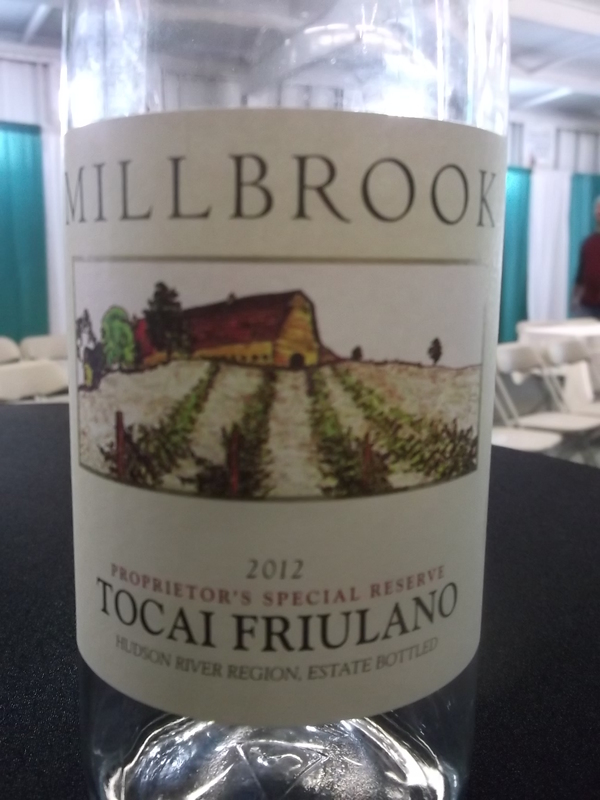 medals was a surprise, the winner of the Best Overall Hudson Valley Wine (made with Hudson Valley fruit) was not: Millbrook Vineyards & Winery, for its 2012 Tocai Friulano Proprietor’s Special Reserve. Undoubtedly the Hudson Valley’s flagship winery, Millbrook also won Winery of the Year for the second year in a row. 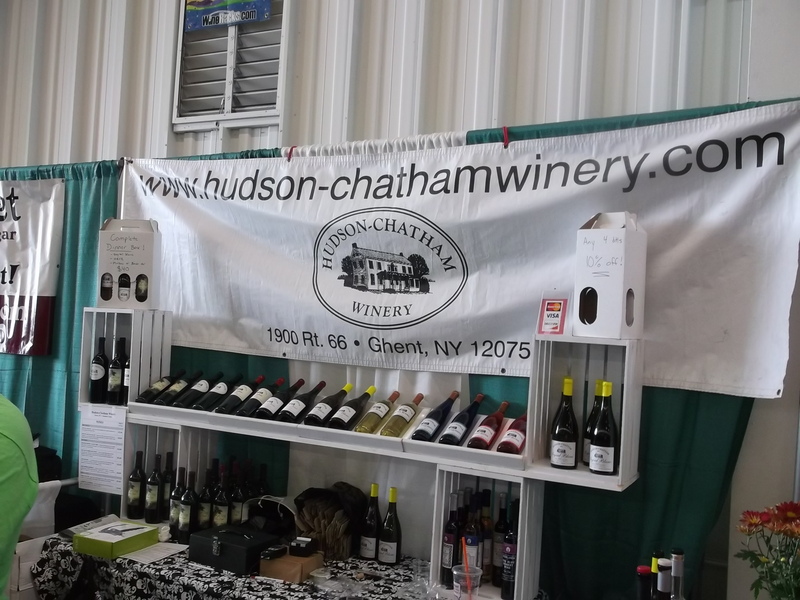 But this time, there was plenty of competition nipping at its heels, in particular from Hudson-Chatham Winery, which won three Double Gold’s (and nine medals in total), including its stellar 2010 Merlot Reserve, the winner of Best in Show and Best in Category – Red Wine; and its Bannerman’s Castle Amber Cream, which earned Best Dessert Wine. Brotherhood “America’s Oldest” Winery showed well overall, too, winning Best Sparkling for its B-Sparkling (NV), and Best in Category – White Wine for its 2012 Riesling. The runner-up to the Brotherhood Riesling (in a razor-thin vote) was Benmarl Winery’s knockout 2012 Semi-Dry Riesling, a Double Gold winner from my panel (made from Finger Lakes fruit), with pretty stone fruit on the nose and palate, and great length. Riesling has the potential to do well in the Hudson Valley’s challenging (and chilly) climate, so it’s heartening that the two top whites in the contest were Riesling varietals, even if they weren’t produced with Hudson Valley fruit. And more local plantings of Riesling will be coming on stream in the near future, including from Millbrook. The Hudson Valley’s spirits sector is growing leaps and bounds, leveraging off the fine local fruits and grains of the region, from farm to still. 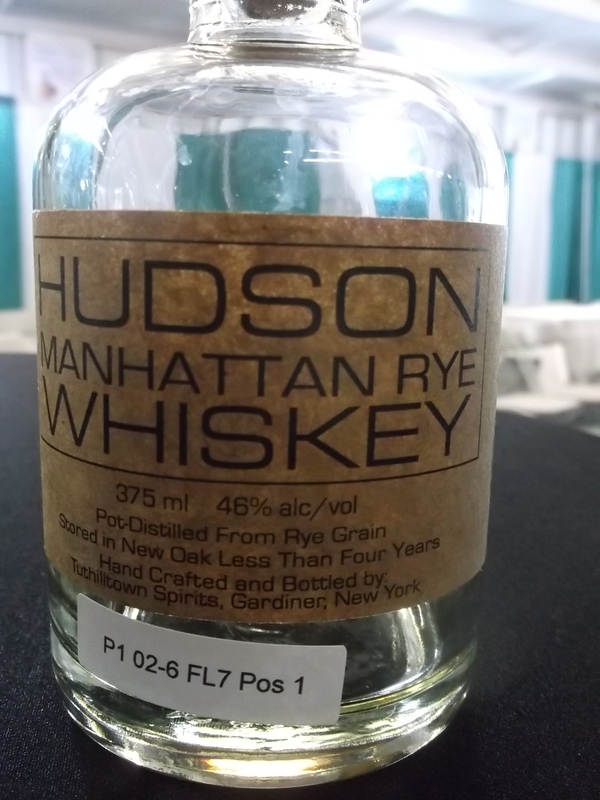 And Hudson Whiskey’s Manhattan Rye, the only other Double Gold winner out of my panel, was the overwhelming choice for Best Spirit — intense and complex, with notes of vanilla, spice and dried fruit. Speaking of local produce, the Hudson Valley has some excellent fruit wine producers, none better than Baldwin Vineyards, which won Best Fruit Wine for its “Trilogy”, made from 100% red raspberries. A big thanks to Debbie Gioquindo and her band of stalwart volunteers for organizing the contest and tastings. For the complete competition results, click here. This entry was posted in Hudson Valley, Spirits + Cocktails, Wine and tagged 2013 Hudson Valley Wine and Food Fest, 2013 Hudson Valley Wine and Spirits Competition, Benmarl Winery, Brotherhood Winery, Debbie Gioquindo, Hudson Whiskey, Hudson-Chatham Winery, Millbrook Vineyards and Winery. Bookmark the permalink.